Off John F. Kennedy Drive across from the Rose Garden; follow pathway south 200 feet. Is it a stone phallus of Shiva, or just a four-foot-tall concrete knob that someone dumped in the park? Hindus and other spiritually-oriented visitors-- some who have come all the way from India--have taken to worshipping at one of the weirdest shrines ever to sprout mysteriously from the earth. The object, which once served as a traffic barrier, appeared in the park around 1991. Soon colorful chalk hieroglyphs began to grace the gray concrete surface, and bunches of flowers were left beside it -- offerings to the Hindu god Shiva, it turned out. Before long, a group of heavy stones from William Randolph Hearst's kidnapped Spanish abbey (see above) had appeared around the object, arranged in the form of a sacred rock garden. 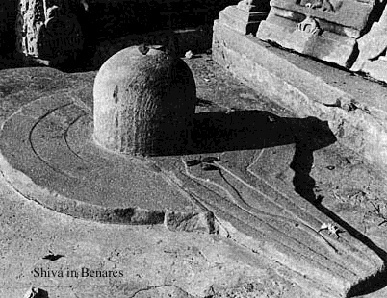 As of late 1993, a steadily-increasing flow of pilgrims have been coming to the shrine, identified as "a stone phallus of Shiva," to meditate, pray, chant, and burn incense. "It's become a symbol for hundreds of Hindus, Buddhists and New Agers," one devotee told the San Francisco Chronicle. The director of the park's Asian Art Museum, Rand Castile, backed the object's claims to spiritual authenticity: "This is a very serious religious statement in the Hindu religion. It's no laughing matter."